Hey y’all! I have a new original recipe to share today! 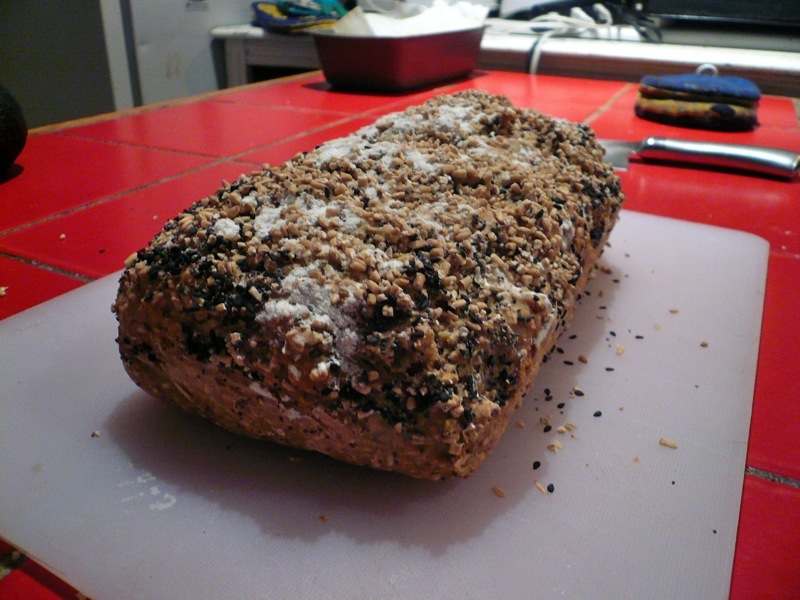 I’ve been making a lot of soda bread recently (one of my soda bread adventures was chronicled here, in case you missed it). 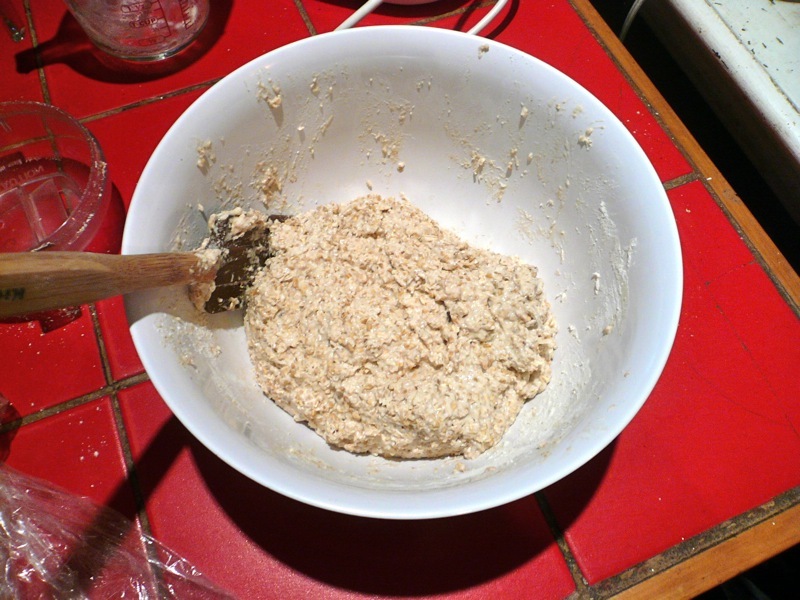 One recipe that I’ve become particularly fond of is this one for Oat Soda Bread at 101 Cookbooks. 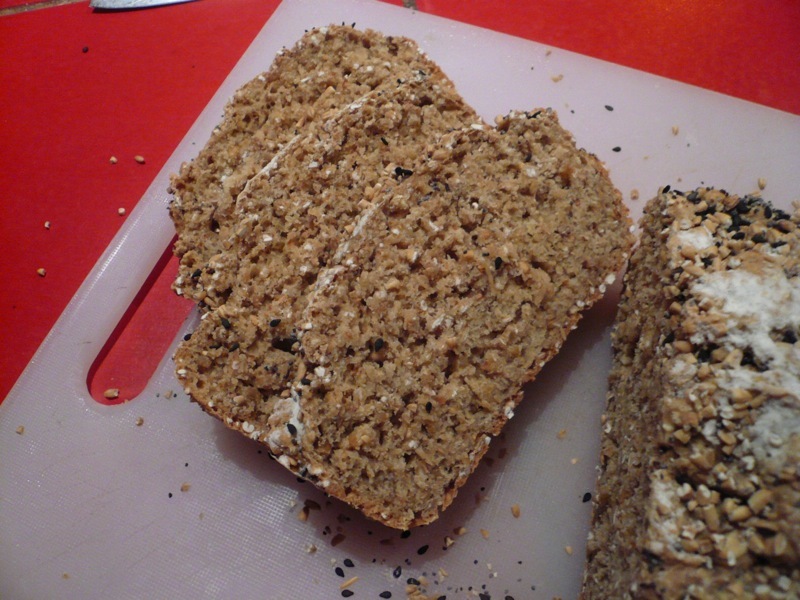 I like it because it combines the taste and ease of soda bread with the heartiness of oats. But after I made it once, I got to thinking—could I do the same thing with steel-cut oats? 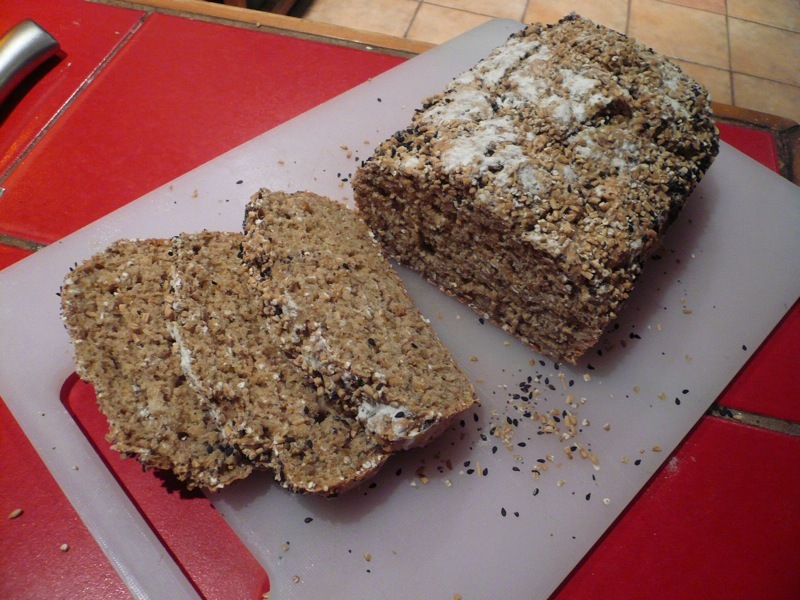 Well, after a bit of tinkering (and some guidance from this Bob’s Red Mill recipe), I think I’ve found a good ratio of steel-cut to regular oats, which makes for one wonderfully full and hearty loaf in the end! And if you don’t have steel-cut oats at hand, don’t worry; just use 101 Cookbooks’s original recipe—it’s still really good. Enjoy! 1. Preheat oven to 400°F and prepare a 9×5 inch baking pan, either by greasing the sides well with oil / vegan butter or lining with parchment paper. 2. 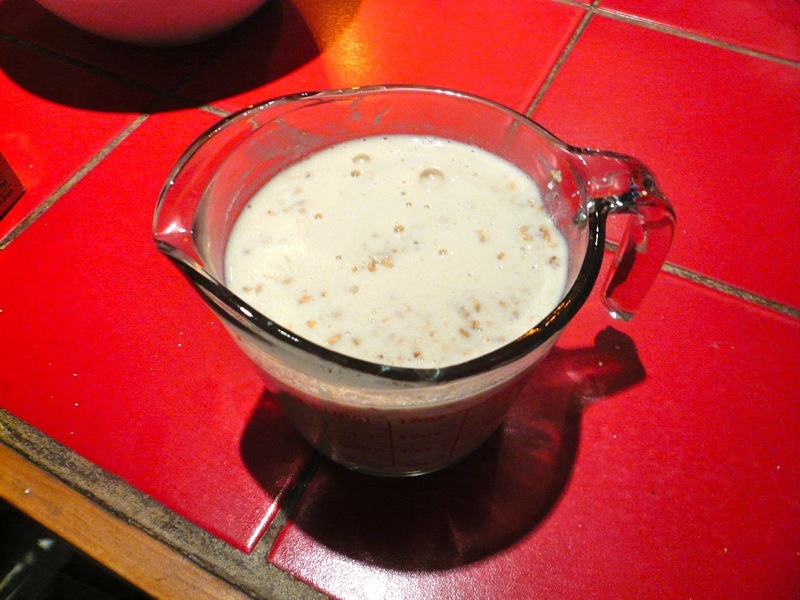 Put apple cider vinegar / lemon juice in a measuring cup, then fill up to the 1 3/4 cup line with soy milk. 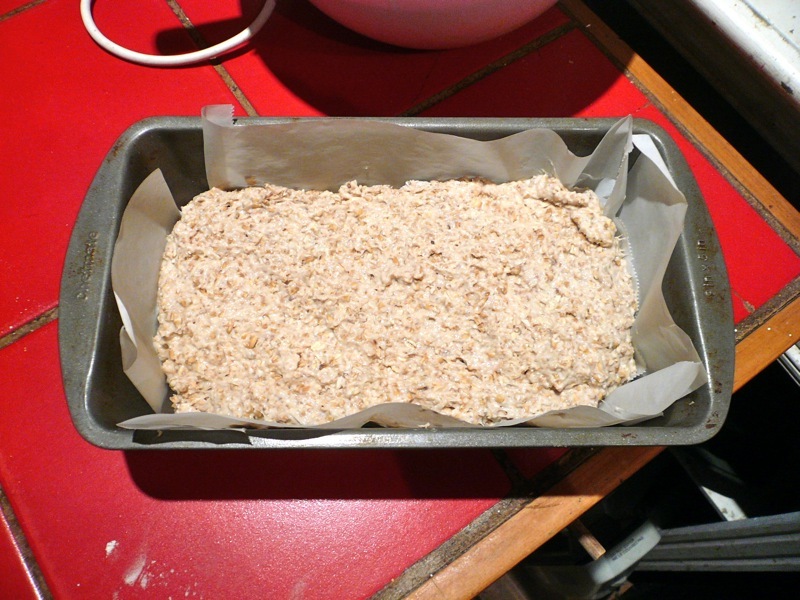 Add the steel-cut oats and let soak as you prepare the dry ingredients. 3. 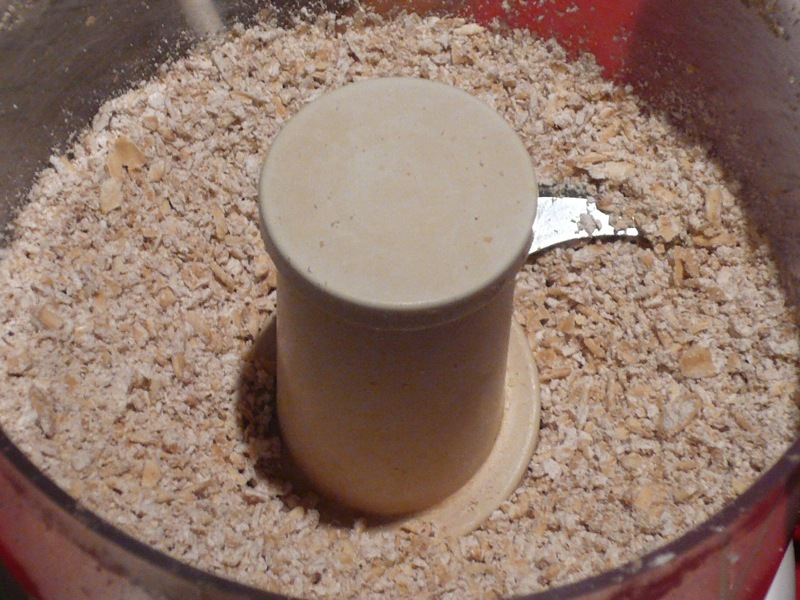 Place rolled oats in a food processor and pulse for a while. You don’t have to make them into a flour or anything, just get them broken up as best you can. 4. 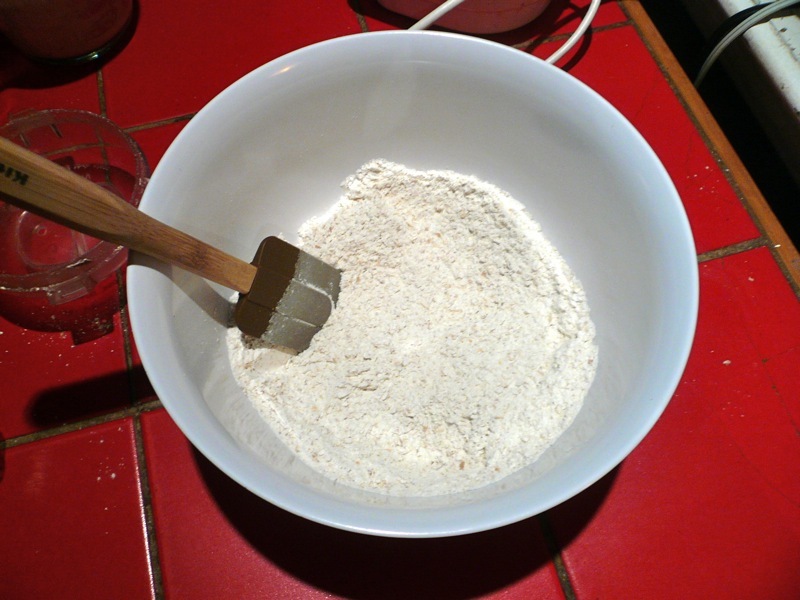 Place rolled oat mixture in a mixing bowl, and add to it the flours, baking soda, and salt. Mix to combine. 6. 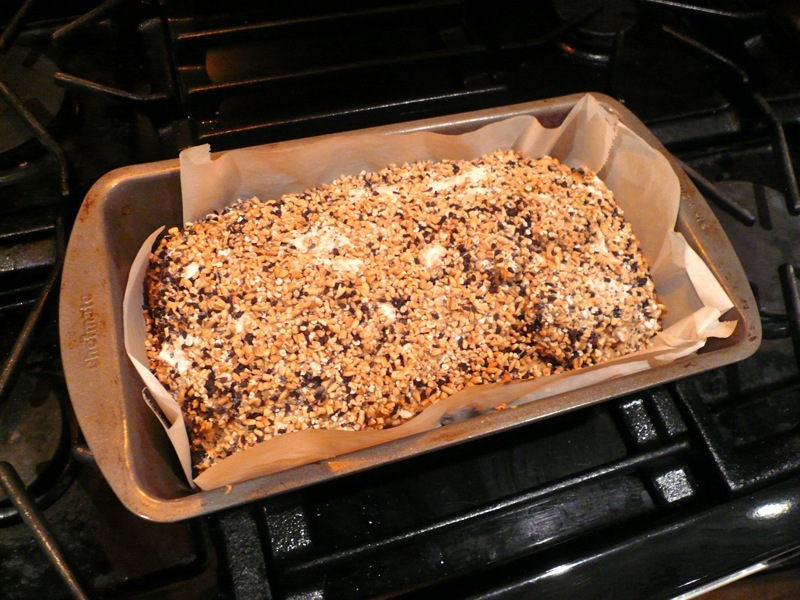 Scoop the dough into your baking pan. 7. Top with seeds and such (I went a little overboard here, FYI). 8. Bake for about 50 minutes, until a toothpick stuck in the center comes out clean. 9. 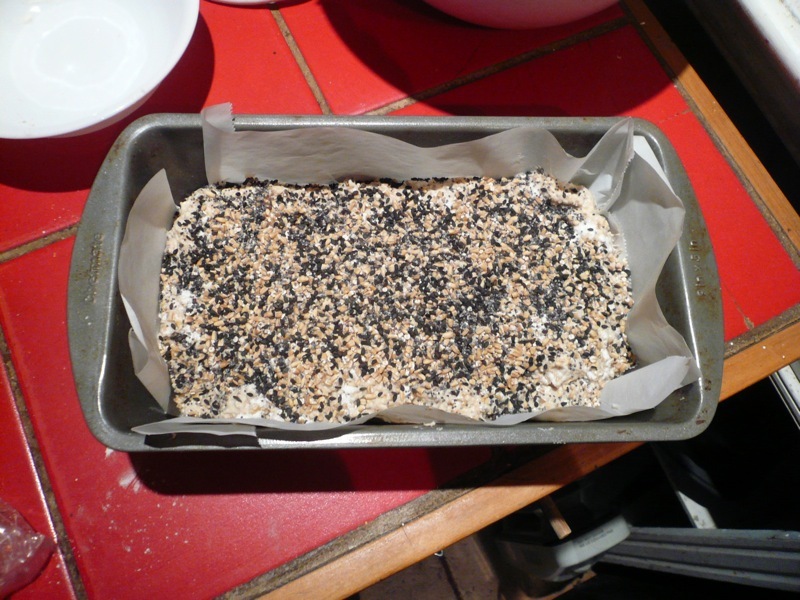 After it’s cooled, remove loaf from pan, slice up, and enjoy! Hope you like this one guys! Let me know how it goes for you!